Don Norman is a co-founder of the Nielsen Norman Group, and holds graduate degrees in both engineering and psychology. 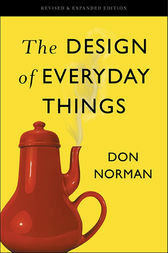 His many books include Emotional Design, The Design of Future Things, and Living with Complexity. He lives in Silicon Valley, California.